Celebrated director Rakeysh Omprakash Mehra’s next is a social issue film titled Merey Pyarey Prime Minister. Highlighting the issue of outdoor defecation in India, the first poster was released on World Toilet Day. 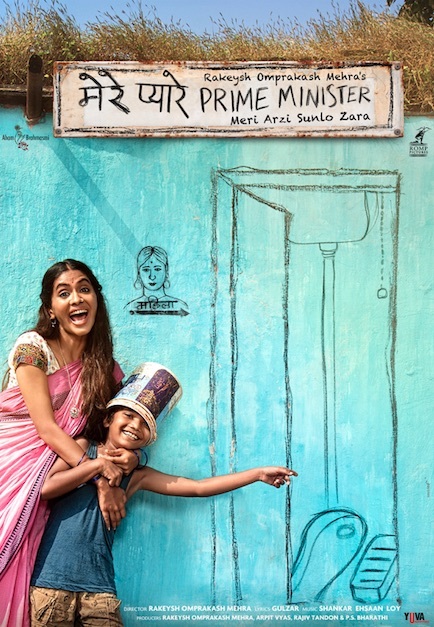 Featuring the critically acclaimed actress Anjali Patil, Merey Pyarey Prime Minister is scheduled for release in 2018, presented by ROMP Pictures. During an interview last year for his film Mirzya, Mr. Mehra also spoke to us about this film saying, “There is, I won’t call it a small little film, no film should be called small just because the budget is small, the cast is small, but it is the story of a seven-year-old boy living in a Bombay slum. He has a sickly mother and he wants to build a toilet for his mother because there are no toilets in the slum. 16 queries in 0.693 seconds.